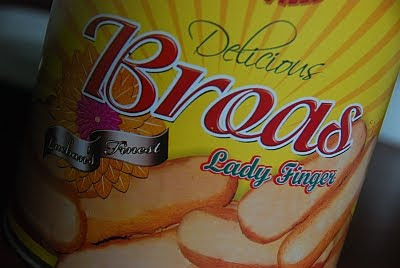 Just a quick post on a Quezon specialty that doesn't really need an introduction: broas (lady finger) that Tutubi loves for refrigerator cake recipe than graham crackers. 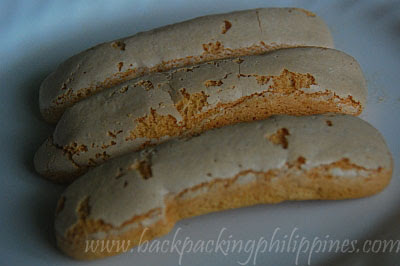 Tutubi Jr. loves broas, due to its usual sweet cookie taste toddlers love...you can buy broas almost everywhere even at malls in Manila but the pasalubong tradition is just one thing...a medium size can of broas costs around P180.00 in Quezon particularly in Lucban. Where can we buy this? Please reply, I want to buy this as soon as possible.